Do you feel self-conscious about a damaged or missing tooth? Your smile is an important feature that you use to smile, laugh, talk, and eat daily. Having a complete set of healthy, strong teeth adds to your quality of life and helps you feel good about yourself. If you have a damaged or lost tooth in Nashville, a dental crown can provide you with a new tooth that replicates a natural tooth in aesthetics, chewing support, and protection. Aesthetic: A dental crown is most commonly molded out of a porcelain material that replicates the translucent quality of natural tooth enamel. No one needs to know you have a prosthetic tooth! As a highly experienced Nashville cosmetic dentist, Dr. Dennis Wells ensures that the contours and shading of the dental crown are to your liking. He takes time to make sure that the dental crown fits seamlessly into your smile and that the bite is just right. Versatile: Depending on your situation, a dental crown can be used in a wide range of Nashville dental restorations. It is often used to cap a severely broken or damaged tooth. For a tooth that can’t be saved or that has fallen out, a dental crown provides the tooth restoration above a dental implant or as a support in dental bridges. 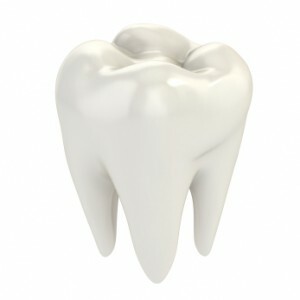 A dental crown can also be used to cap a root canal for protection. For more information about the benefits of dental crowns, call the Nashville Center for Aesthetic Dentistry in Nashville, Tennessee at 615-371-8878 to schedule an initial consultation with cosmetic dentist Dr. Dennis Wells. ‹ How Are Porcelain Veneers Placed?